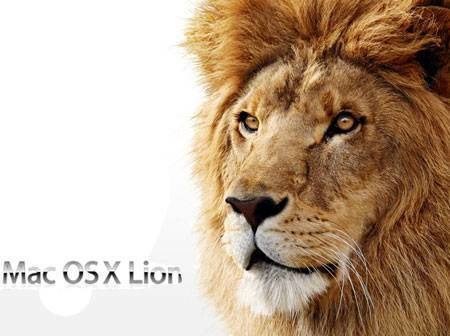 If you are a Mac user then you’ve been hearing Apple beat the drums about their latest OS upgrade named Lion. Being an Apple faithful I clicked on the App Store last night and started the download process. Here’s what I learned. The App Store prominently featured Lion and it was simple to click and start the process after I provided my iTunes login credentials. I could see an icon in my dock indicating that Lion was downloading but couldn’t figure out how to see the percentage progress or estimated time to complete. In the App Store I had to click on Purchases to see the progress of my download, that’s not intuitive. When the multi-gigabyte download did complete I clicked the Install button in the App store. Eventually my Macbook Pro was restarted and I saw a Disk Utilities app take up the whole screen. Very odd, why do I want a disk utility? One of the choices in the disk utility was to re-install Lion. Huh. I had already clicked the Install button once in the App store, why do I have to re-install Lion to continue? Clicking re-install completed the installation of Lion, like I said not intuitive. I’ve been using my Macbook Pro for two years with the magic mouse that already uses gestures and to my laughter the first thing I discovered is that Apple decided in Lion to reverse the scroll up and down gestures with my mouse and touch pad. More intuitive, not to me. Fortunately the Apple developers had the sense to let me use the System Preferences to uncheck their new default for up and down. I’m on the web all day long and I often want to go back one page in my browse. The magic mouse has that feature with two fingers swiping left. In Lion they changed that gesture to now mean swipe between full screen apps. I don’t want that so had to once again change my System Preferences. This is a 32 bit app and simply wouldn’t start in 64 bit Lion without rebooting in 32 bit mode. Luckily the Clear web site had a 64 bit upgrade. Of course, to download the new upgrade I had to find a WiFi signal because my 4G connection wouldn’t work. On the top-right of my screen was my full name, that was different, before it was just my first name. I clicked on it and saw a drop-down menu so I clicked Login Window. Not smart. It showed me a login window and I couldn’t escape, couldn’t type, couldn’t click, the cursor turned into a swirly rainbow and I had to push the power button to regain control. After loosing so much time trying to get my MBP back to a funtioning state I’ll have to wait until the weekend to discover the other 248 new features that Apple cooked up for me. I’m not impressed with the $29.99 investment so far. Drag and drop suddenly stopped working and I searched several forums online and found that many other Lion users have the same issue. The only work around I’ve read and used is to Sleep my MacBook Pro, then wake it back up. I’m starting to feel that Lion OS is about as unstable as the old Microsoft Vista. Another feature that is broken with Lion: Setting my Desktop image to update every 15 minutes. Instead of working I see a grey desktop. The only fix for this bug is to restart my laptop. When I used Microsoft Vista I also had to often reboot, deja vu, all over again. An interesting article on CNN with, “Apple’s 7 most stubborn decisions”. See, I am not alone in pointing out usability issues with Mac OS X.